Matthew Good was the lead singer for the band Matthew Good Band, one of canadians most successful alternative rock bands of the 90's. They dissolved in 2002. Since, Matthew's had a flourishing solo career and has established himself as a political and mental health activist. He's recorded 10 solo albums. 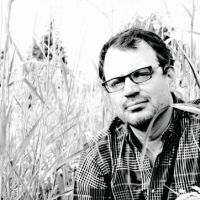 Matthew Good will be at the Virgin Mobile Corona Theater in November 2015 to present his tenth album, Chaotic Neutral.